Role-Playing game releases are certainly not a common occurrence on Nintendo’s Gamecube console. It was to the relief of many Gamecube owners when company Namco announced two forthcoming games that would take that very format. Even more intriguing was that one of these games was to be developed by those responsible for the Xenosaga series, “Monolith Software’. Understandably, this generated hype, particularly in Japan, where RPGs are considered mainstream, and the feeling was only amplified when Namco unveiled their other title as Tales of Symphonia. Baten Kaitos, the product of Monolith Software’s work, is centered in endless sky where huge landmasses float on which people live. The seas of the earth below are but legend in the existence of these people and have become a subject of some cynicism. Amongst all this, a plot to destroy the floating continents and eradicate all memories of the ancient seas is afoot; a corruption into which Kalas and Xelha plunge into for their different reasons, and end up trying to prevent it. The game is noticeably stunning visually, which is commented on by game composer Motoi Sakuraba in the soundtrack liner notes. His music score would need to be diverse indeed if he wanted to encapsulate the world to which his music would accompany. This is quite possibly why he was selected in the first place — though many would claim that his soundtracks all sound similar, it is generally because he has experimented with most kinds of music already that innovation has become more difficult for him to establish anew over his years as a composer. Something about this project managed to inspire Sakuraba however; this was no mere rehash of one of his “tales” scores; quite the contrary — Baten Kaitos is a work that deserves to be mentioned in the same sentence as Star Ocean and Valkyrie Profile; a video game score of considerable quality. Fortunately for residents of Europe, merchandise giants ‘Toys R Us’ in a special promotion gave away a free sample soundtrack CD to anybody who pre-ordered the game, featuring some of the most notable tracks from within. This was an unusual decision indeed, as video game music has never been celebrated to a large extent overseas, with only a few select countries getting concerts in its honour. As a matter of fact, Sakuraba’s work on Star Ocean -Till the End of Time- was also promoted on the back of the PAL game box; maybe companies believe that he more than any other game composer suits the aural needs of the English public, with his mix of progressive rock and film score compositions? In an appreciated move by Namco of Europe, “Brave Fish Below the Heavens” is the first track on the album, and the mediocre title music from the game is left behind. Opening with some ominous tremolo strings, the track proceeds at an alarming pace with its dynamic structure fluctuating regularly — at one time you hear a courageous string and brass melody before it cuts out to be replaced with a gentle harp, which consequently shifts to a frightening choir section. The track never stays in one place, not lingering about one theme for any lengthy period of time. To fully appreciate this piece, I recommend viewing the opening FMV to which it accompanies; that Sakuraba was able to convey so many feelings in one two minute long piece is no mean feat. His use of the orchestrated music is really quite remarkable, and gives a great first impression of what he has to offer us on the rest of the soundtrack. “Star-Sprangled Journey” is somewhat typical of Sakuraba. It opens with a harp melody, the instrument having become a common feature of his scores, playing a rendition of the main theme. His skill is evident, but it is when the strings — particularly the leading violins — and the powerful horns enter that the piece really takes off. It suddenly becomes much more powerful and quite beautiful to listen to. It is very well-placed on the album, offsetting the aggressiveness of “Brave Fish Below the Heavens” and establishing a good central theme for the game. 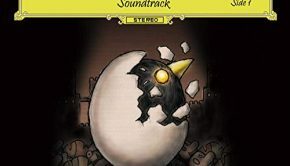 Since this soundtrack only contains eight tracks, and the ending theme “Addressing the Stars” is not present, this piece manages to be one of the most moving tracks featured. “The True Mirror” is the first of Sakuraba’s battle themes on the soundtrack. This one is the main piece that plays in the basic monster encounters. Its purpose seems to be primarily centred on being catchy and not so obtrusive that it draws unwanted attention to itself. A violin shadowed by a rock organ leads the piece and the upbeat synth adds interest to the background — at no point does it attempt to convey power, as it simply blends away with the battle screen and is calm enough that you would not get too bored hearing it in the game. Sakuraba realises the importance of battle themes, and since the card-based system used in Baten Kaitos is not incredibly fast-paced, the music doesn’t attempt to ‘pump’ the listener as many of his other similar pieces have in the past. The use of the violin actually interlinks the battle music to some of the more beautiful pieces on the soundtrack, thus creating a more coherent feel and a sense of place. It is quite unique and might not impress all, but I think it is very successful and fits its context perfectly. The run of good tracks continues with “Soft Labyrinth,” which takes on a decidedly quicker pace. This was a good choice, as it is nice to break up the slower, evocative pieces to prevent loss of interest. With the electric guitar and drum playing in the background, the strings take centre stage once more, with the horn complimenting the melody at times. Although parts of the track sound quite serious, the upbeat sections make me think that this was intended as a way of creating a sense of anticipation, escaping the more atmospheric roots the tracks of before had taken. I think it is a good follow-on from the previous pieces, in that it gives a broader view of the overall score, being an area theme, creating a balanced sample of the overall work. Sakuraba gives us an even better example of a location piece with “Flighty Spirits”; while not entirely original style-wise, overall the piece is more successful. For a start, it flows well and certain interludes borrow from the “Imperial Dynamics” theme; since that piece did not make the cut for the promotional soundtrack, it seems like a nice varied choice of piece. It is well-composed in the way that the original Sakuraba styled synth rock with the frenzied wave instrument and the accompanying bass seamlessly integrates with the epic string and harpsichord passages with neither taking anything away from the other, actually both adding to the piece making it feel more wholesome and well-developed. Undoubtedly this is one of the best upbeat area themes on the soundtrack, succeeding melodically and in its expansion where the previous track fell short. “Brave Way” is probably one of the more appreciated tracks on the Baten Kaitos Official Soundtrack. It is the first widely likeable brass composition on the disc, and there is a good reason for that. For one, the melody, though typical for a Baten Kaitos track, is awe-inspiringly heroic, suitably using the horns and strings. 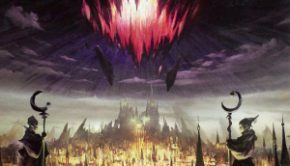 Sakuraba paints an image of the heroes’ departure for the final area of the game where the final enemy lays rested waiting for the final battle. If you imagine this scene when listening to this track, I guarantee your emotions will run wild in the composition’s epic glory. Besides a few other tracks, “Brave Way” is presumably the most developed track on the disc, but if it were compared to a more complex track, its simplicity and straightforwardness prevents it from winning over its competition. The piece itself is split up into three movements: the beginning, the middle, and the end, all of which impact differently and lead into each other perfectly. For example, the beginning is heroic in nature and transfers effortlessly into the second movement which is aggressive though serene. Regardless of what type of music you like, you just can’t turn your back on “Brave Way.” This is Sakuraba at his best. “Survival from The Force” is the second battle theme on the Official Soundtrack. 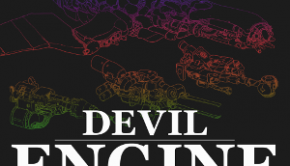 It contains crazy organs and powerful synthesizers and they work well together, creating a rather rushed atmosphere. The composition feels fresh and original, yet borrows styles from “The True Mirror.” This is not a problem since Sakuraba manages to arrange the piece in the most enjoyable style, so chances are you won’t recognize the reappearances. As most know, Sakuraba loves his solos, and in this track, he doesn’t disappoint, leaving only a total of a few seconds for the main melody. Compared to the other battle theme, this one may feel a little calm, but it does set the mood right for the following conflict theme. “Survival from The Force” is a deliciously active addition to this album, and I’m glad such a piece could be included. Tohru Iwao takes the honor of performing Sakuraba’s “Violent Storm” which is a step above the previous battle tracks and also, surprisingly, manages to combine both composers and guitarist’s token styles into one fierce composition. The energy level is sky high during the track’s playtime, being more active than any other theme on the entire soundtrack. This is due to the creative guitar work by Iwao, who, in a bold move, evidently enforced his methods from Guilty Gear. But Iwao isn’t the only person who gets all the fun, as Sakuraba is indeed a highly necessary part of the track. He obviously plays the synthesizer and organs and proves to Iwao that electricity-based guitars aren’t the only way to form incredible fighting tracks. Compared to the guitarist, Sakuraba doesn’t have as big of a role, but the quality of his contribution is astounding, presenting to us smooth solos and interesting harmonies with the guitar. “Violent Storm” can’t be anymore incredible than it is, verifying it as one of Sakuraba’s best battle compositions in history. To be fair, the limited edition Baten Kaitos Official Soundtrack is a very good sample of the work that Sakuraba has created for the world of Baten Kaitos. 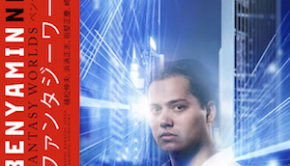 “Brave Fish Below the Heavens” and “Star-Spangled” journey give a good indicator as to what to expect from the cinematic themes, as do “Soft Labyrinth” and “Flighty Spirits” on behalf of the upbeat area tracks. The choice of battle pieces was strong, with the popular “The True Mirror” making an appropriate appearance, and the ferocious “Violent Storm” taking the crown of best track on the album. “Survival from the Force” was a more unusual choice, considering the various other boss themes on the full soundtrack, but makes an impact nonetheless. It is unlikely that, if you missed the European release boat, you will be able to easily obtain a copy of Namco of Europe’s limited edition CD. The only place, in fact, that you could hope to find one is on eBay, but it is likely that there will be fanatics out there bidding wild amounts that are likely to deter you. Fear not, however, as this CD is not really worth having as long as you have the ability to import. 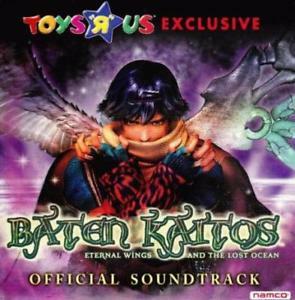 This offer was a nice one, no doubt, and it is especially nice to hear that Namco of Europe actually published a video game soundtrack, but the Baten Kaitos soundtrack to get is the easier to find complete version published by ‘Team Entertainment’. Not only does this contain the eight tracks from the promotional CD but also every other piece that was used in the game; featuring more great battle themes, more grand epic tracks and an overall atmosphere to die for. All things said, this is a nice novelty item if you were fortunate to get a copy when they were actually on offer — it may have even inspired some to go out and buy the soundtrack (I can certainly say that I would have been checking it out after hearing this desirable line-up). But there is no way that it is worth going out of your way to buy now; it would be simply foolish to choose this over the complete edition.